I had forgotten that red and white are his standard colors but I'm definitely not getting my hopes up. Govurom did infiltrate a Granthan Corps LSA troop. Unrelated note, anyone notice the lack of Clear Traveler in the store? NoPaintRequired wrote: Govurom did infiltrate a Granthan Corps LSA troop. Unrelated note, anyone notice the lack of Clear Traveler in the store? I did, and I don't recall it being at low stock, however maybe enough people have been picking it up, and it just sold out? Though I dig what your shoveling, perhaps there's already been a plan for Govurom that includes the Clear Pheyden! Or better yet a new build with the Clear Traveler as the base? NoPaintRequired wrote: Unrelated note, anyone notice the lack of Clear Traveler in the store? I just checked. It's a little odd. My best guess is that he's going to put it back up in a bundle with a Skeleden set. That's my best guess, because I can't see why he'd take it down for good. I think it'd be a pretty good way to bring them back into stock if they just sold out. It's getting midway through the month and no hints as to when the drop may be? Surprise drop, like Jesse did, maybe?!?!? It'd be awesome to see a Super Crayboth in Stealth! Lazzy Lizard wrote: It's getting midway through the month and no hints as to when the drop may be? i was beginning to think the drop IS the invisible element - we wont see it. seriously, i was thinking it was gonna be this weekend since next week is supposed to be the OSM gitd release. I thought the drop would be this weekend too... Maybe a really off the wall day like Tuesday perhaps? Maybe the drop already happened and we didn't see it, because it is invisible. Lots of time left in the month. But with SDCC looming, not sure how Onell will dance around that. Ohhhhh... You guys missed it! It was phone orders only at 2am (undisclosed time zone) and you had to pay by bitcoin. It was a FANTASTIC drop too!! You know all that stuff you always wanted to see? It was available... WITH NO LIMITS! 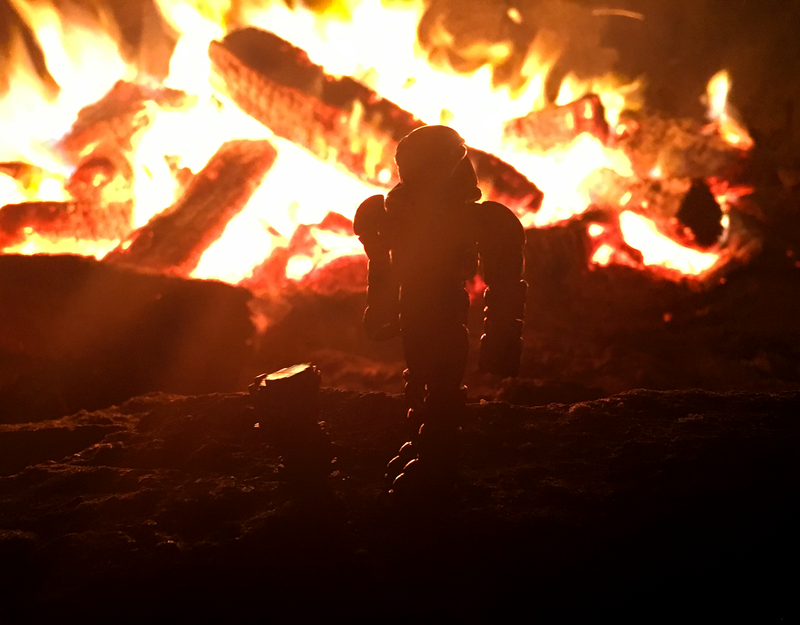 The Invisible Element is Glyos. It's an energy field created by every collector. It surrounds us and penetrates our wallets; it binds the galaxy Glyos together. Faceless Master wrote: Ohhhhh... You guys missed it! Could you imagine the insanity of trying to order Glyos by phone? Wait, here's one better: an old-school newsprint catalog, mailed to every collector, with a clip-out mail-order form, "six to eight weeks' delivery," and everything. Maybe have a pack-in Kirby-style comic to go along with the drop. Bonus points if other lines are included like the Kenner pack-in catalogs of the 80s and early 90s. kranix wrote: Could you imagine the insanity of trying to order Glyos by phone? Wait, here's one better: an old-school newsprint catalog, mailed to every collector, with a clip-out mail-order form, "six to eight weeks' delivery," and everything. Maybe have a pack-in Kirby-style comic to go along with the drop. You would need to fill out a check list of all the things you want, but also all of your secondary wants in case your first choices are sold out. So there's no telling what your check or money order just bought, and you get to wait in anticipation to find out if you got the new figures, or a box of buildstation bits. I hadn't heard about that until I read your post. I do know the preorder for the Mythic Legions 1.75 stuff is going up this week. Bit Figs are interesting to me. Like, they're really cool and interesting, but kind of on their own island as they can't really interact with other Glyos figures. I keep hearing the Terminator theme. Okay so it's obviously something with a Glyan body, but the head seems new. Could it possibly be a Microshin sculpt that Matt is finally happy with, along with some sort of hood or space helmet?